You've been entrusted with the care of a small child – who has just swallowed one of those little button batteries commonly found in children's toys. Do you panic? Rush to a hospital? First, try honey, suggests a new study published Monday. A team of pediatric ear, nose, and throat specialists from Children's Hospital of Philadelphia and Nationwide Children's Hospital has discovered that giving a child honey to eat after he or she has swallowed a small battery can prevent serious injury and possibly even death. 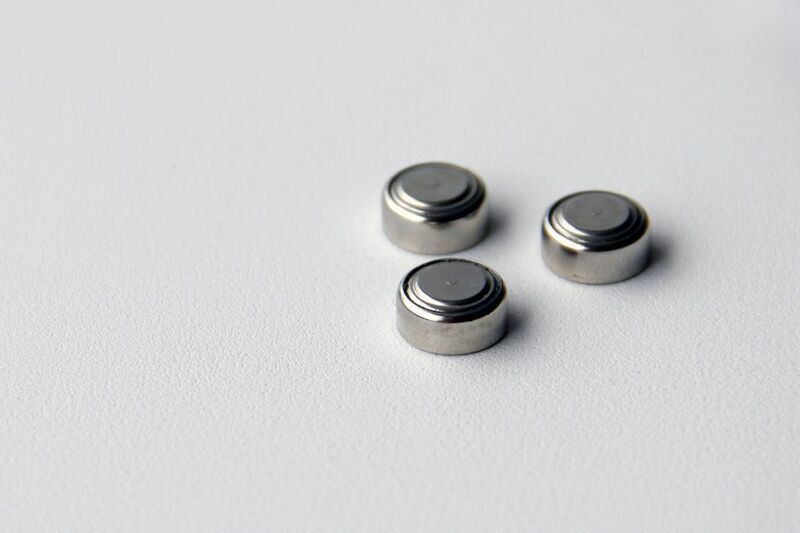 "Button batteries are ingested by children more than 2,500 times a year in the United States, with more than a 12-fold increase in fatal outcomes in the last decade," said co-principal investigator Ian N. Jacobs, director of the Center for Pediatric Airway Disorders at CHOP. "Since serious damage can occur within two hours of ingesting a battery, the interval between ingestion and removal is a critical time to act in order to reduce esophageal injury," said Jacobs, whose team's findings were published Monday in the journal the Laryngoscope. Given their small size, candylike shape, and temptingly shiny exterior, button batteries have long posed a hazard to toddlers. When the caustic batteries are ingested, they form a chemical reaction with saliva to create a hydroxide-rich alkaline solution that can dissolve the tissue of a child's esophagus. A child who has ingested one of the batteries may eventually show symptoms like sore throat, cough, fever, trouble swallowing or eating, or noisy breathing. Those symptoms may progress, however, to serious complications like esophageal perforation, vocal cord paralysis, or erosion of the airway or blood vessels. The longer it takes to remove the battery, the greater the risk to the child. The team of researchers, which included Kris R. Jatana, director of pediatric otolaryngology quality improvement at Ohio's NCH, wanted to find an ingestible intervention that could help prevent those injuries. Using laboratory animals, the researchers tested liquids that could create a protective barrier between body tissue and the battery while also neutralizing the harsh alkaline solution produced by the battery. The researchers tried several medicinal liquids and common beverages like juices, sodas, and sport drinks. "Our study showed that honey and sucralfate [a medicine used for stomach ulcers] demonstrated the most protective effects against button battery injury, making the injuries more localized and superficial," Jatana said. The findings have been incorporated into the National Capital Poison Center's guidelines for management of button battery ingestions, the doctor added. Past published studies by the team tested weak acidic liquids like lemon juice with positive results. However, most young children are not fans of drinking lemon juice. Honey goes down much easier. "Our recommendation would be for parents and caregivers to give honey at regular intervals before a child is able to reach a hospital, while clinicians in a hospital can use sucralfate before removing the battery," Jacobs said. Two teaspoons of honey every 10 minutes is advisable, until the child can be brought to a hospital, he added. A caution: children under age 1 should not be given honey due to a small risk of botulism. "While future studies could help establish the ideal volume and frequency for each treatment, we believe that these findings serve as a reasonable benchmark for clinical recommendations," said Jacobs. "Safely ingesting any amount of these liquids prior to battery removal is better than doing nothing." Button batteries should always be kept out of reach of young children and also animals, the doctor noted. If a pet eats one, immediately seek veterinary care, he said.